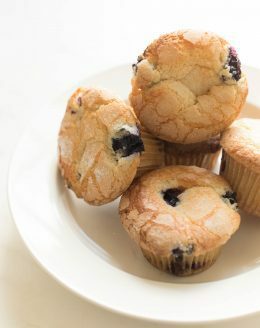 This Blueberry Muffin Recipe has a crunchy muffin top that glistens and adds incredible texture. 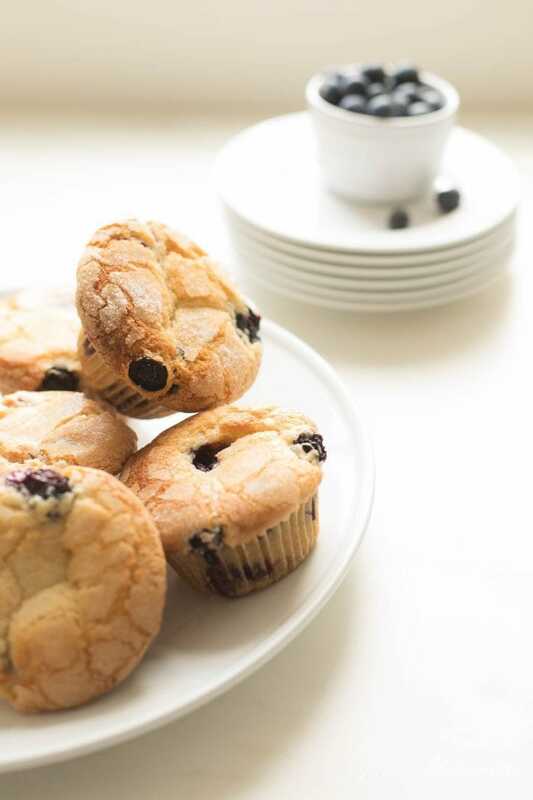 Butter and oil make these easy blueberry muffins an incredibly moist breakfast or snack. 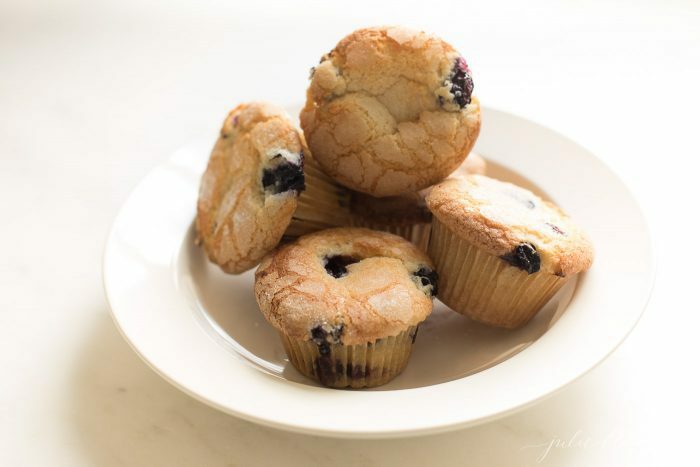 Soft bakery style blueberry muffins – without the effort! The girls and I enjoy baking together. We tend to spend Saturdays and Sunday mornings making breakfast. We frequently make muffins because they’re so easy and everyone in the family enjoys them. They make a delicious breakfast, are the prettiest addition to brunch and also a great snack! A single batch can be enjoyed for breakfast, brunch or snack. They’re also perfect to share with family and friends for Easter or Mother’s Day brunch. This easy Blueberry Muffin recipe takes just 10 minutes hands on time and they take just 18 to bake. Enjoy fresh, warm muffins in less than 30 minutes. 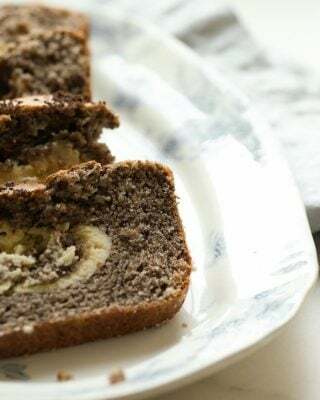 It’s one of my favorite sweet bread recipes! These muffins are foolproof and come out perfect every time. You can serve them alone or with a little bit of butter or even better, a little sugar butter! Cornstarch softens the proteins in flour making the muffins soft, too. I use both oil and butter in this muffin recipe because the vegetable oil adds fluffiness while the butter adds flavor. Of course sugar on top never hurts, either. The granulated sugar adds a little crunch that glistens and makes these muffins bakery beautiful! Buttermilk also helps make muffins moist and tender, breaking down the gluten. It also prevents the muffin from acquiring the blue tinge from the blueberries, making them so pretty! If you don’t have buttermilk, don’t fret. You can make it in just a second with just 2 ingredients. Learn how to make buttermilk here! It’s so easy! Skip the mix! Chances are, you have all the ingredients you need in your kitchen. 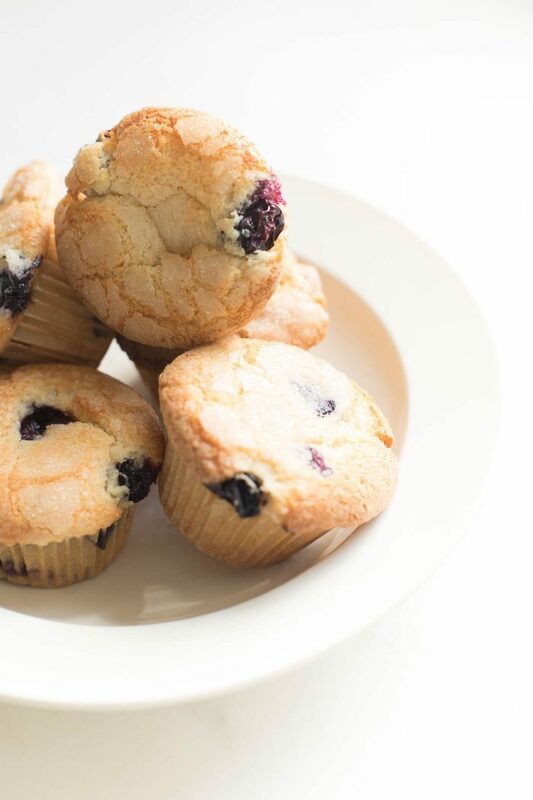 Blueberry Muffins are made with staple ingredients. Butter, oil, sugar, eggs, vanilla and buttermilk blended with flour, corn starch, baking powder and salt with fresh blueberries! If you prefer, use frozen blueberries. Swirl them into the batter direct from the freezer to avoid purple muffins. This Blueberry Muffin Recipe couldn’t be simpler. Combine wet ingredients in a mixing bowl and dry ingredients in a separate mixing bowl. Gradually fold dry ingredients into wet and swirl in blueberries. 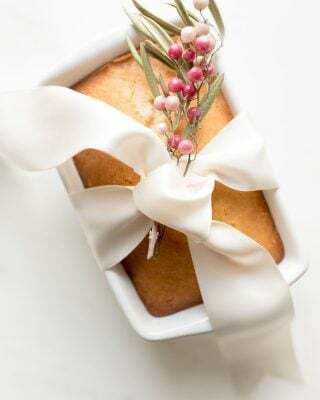 Line muffin tins with paper liners or use cooking spray if you prefer. Fill the muffin cups with muffin batter using a measuring cup to easily fill. Sprinkle with sugar. Bake to perfection. A toothpick inserted will ensure they are cooked through, but 18 minutes is generally perfect in my oven. You can even make these into miniature muffins! 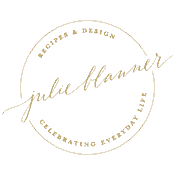 Find my favorite muffin pan in the shop or a less expensive option right here! You can enjoy these muffins for days, weeks and months to come! They keep incredibly well using the tips below. Robert asks: “How long do I cook these as a mini muffin?” Robert, I would set your time at 12 minutes and check from there. Often it depends on how high the batter fills the cups! Enjoy! I’d love to hear what you think! 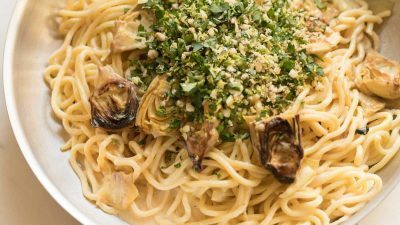 If you try this recipe or put your own twist on it, let me know in the comments below! 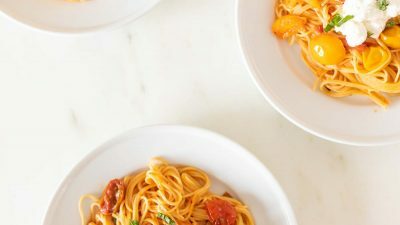 We can’t get enough of this no fuss recipe. Sometimes simple is simply the best! See just how easy this recipe is by watching the video! 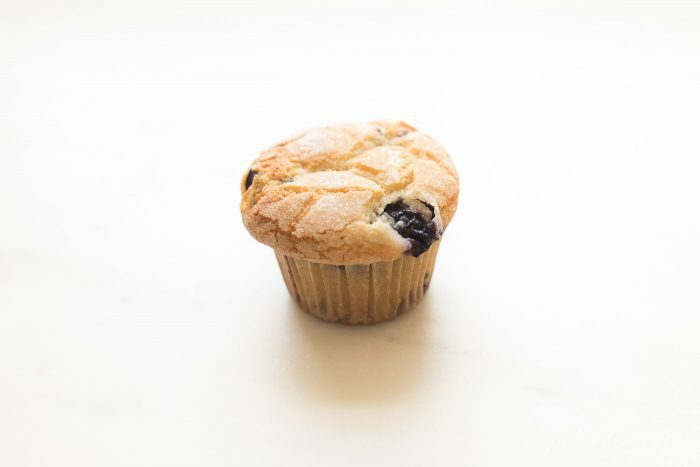 This Blueberry Muffin Recipe has a crunchy muffin top that glistens and adds incredible texture. 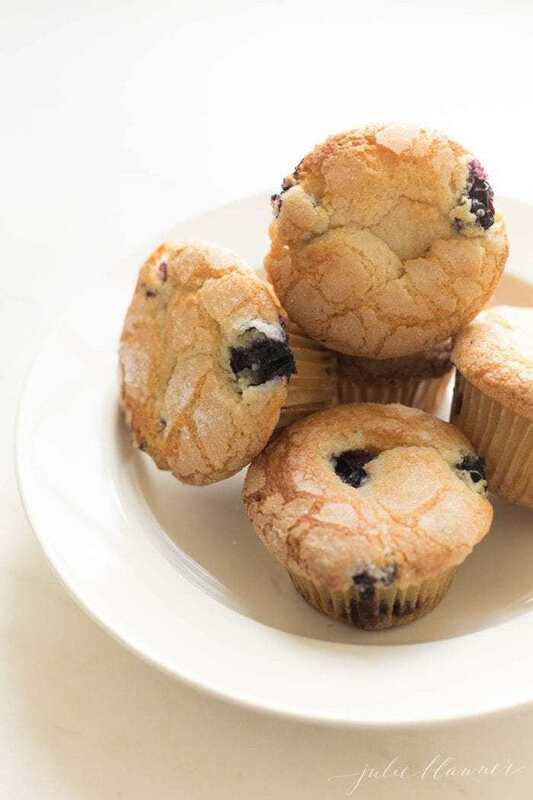 Butter and oil make these easy blueberry muffins an incredibly moist breakfast or snack. Bakery quality blueberry muffins - without the effort! In a large mixing bowl, combine butter, oil and sugar. Add the eggs, vanilla and buttermilk until combined on low or by hand. In a bowl, combine flour, baking powder, corn starch and salt. Gradually fold dry ingredients into wet mixture, but do not overmix. Fill 3/4 full and sprinkle with sugar. Bake 18 minutes or until they pass the toothpick test. 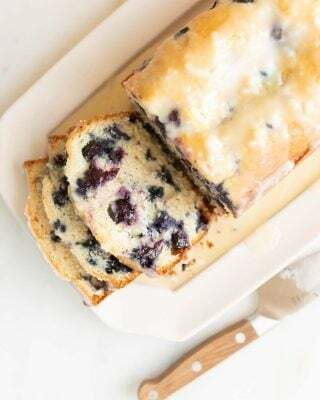 This looks delicious – I want to attempt this Blueberry recipe. I think I’ll love this one because of the crunchy muffin. I just love the fact that it doesn’t take a long time to prepare and the directions are so easy to follow up. And perhaps, when I’m done. I’ll come back here to give feedback. 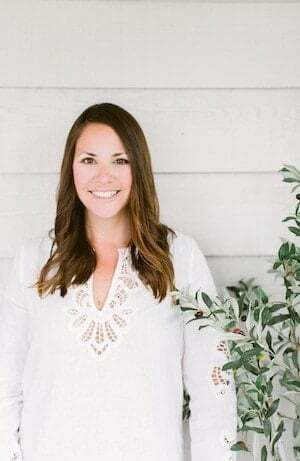 Thanks a bunch Julie for sharing awesome recipe with us. Blueberry muffins are my favorite!! I can’t wait to try this recipe!! 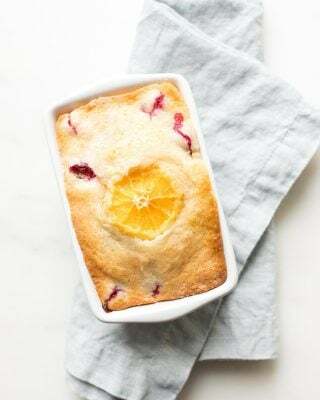 Love to have a batch of these for our weekend breakfast! Homemade muffins are the best! I used mixed berries for mine! My kids would love to bake these; they look like perfect bites of heaven! Such a classic! I love to make blueberry muffins once spring arrives!